- Archival video from 1946 and 1958. - Researched historical narrative on the history of Cummer and Lacoochee. 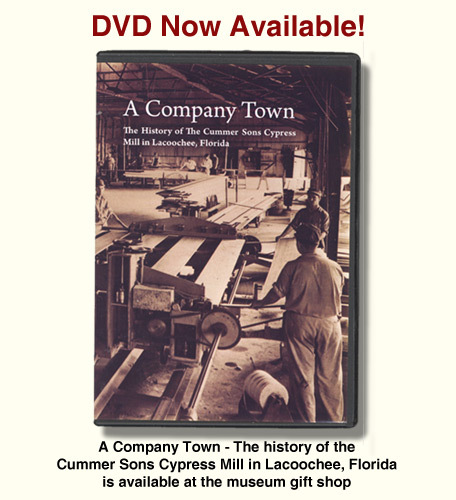 - Photographs of the Cummer Mill and Cummer employees. - Featuring music by The Early Camp Boys and David Holt. - Original video narrated by Lewis Abraham. - Authentic recording of the No. 104 steam locomotive.